Understanding riskThe possibility that something bad will happen. 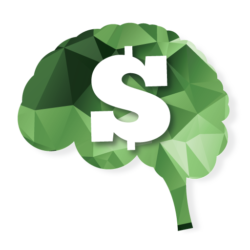 is key to making sound financial decisions. Many people don’t have a good grasp on what riskThe possibility that something bad will happen. means, particularly in a financial context, so I will focus this post on riskThe possibility that something bad will happen.. While I don’t provide any specific practical suggestions in this post, I believe that understanding riskThe possibility that something bad will happen. is fundamental to financial literacy. So, in this post, I define riskThe possibility that something bad will happen., identify some ways to measure it and provide different types of graphs to illustrate it. 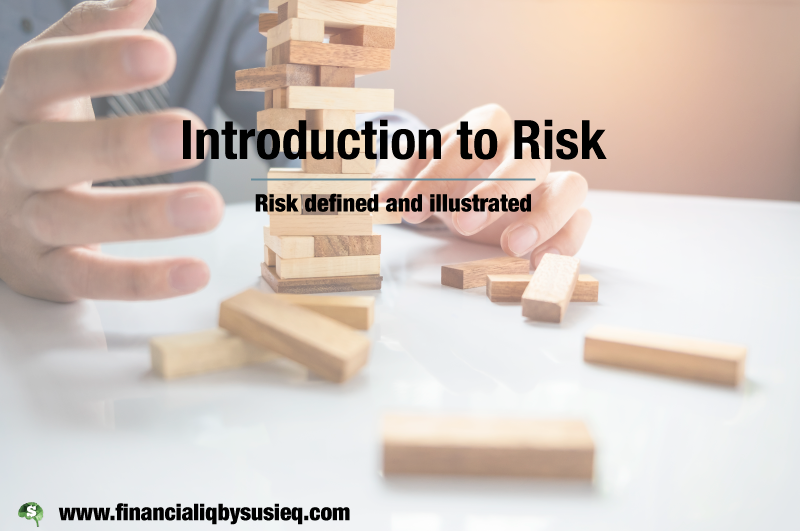 In my next post, I’ll provide insights on how to make financial decisions in the context of riskThe possibility that something bad will happen. and reward. You are injured in a car accident and can’t work. The value of an investment goes down. You spend too much or make a poor financial decision so don’t have enough money to meet your financial goals or commitments. By comparison, volatilityThe possibility that something will deviate from its expected or average value, including both good and bad results. refers the possibility that something will deviate from its expected or average value, including both good and bad results. 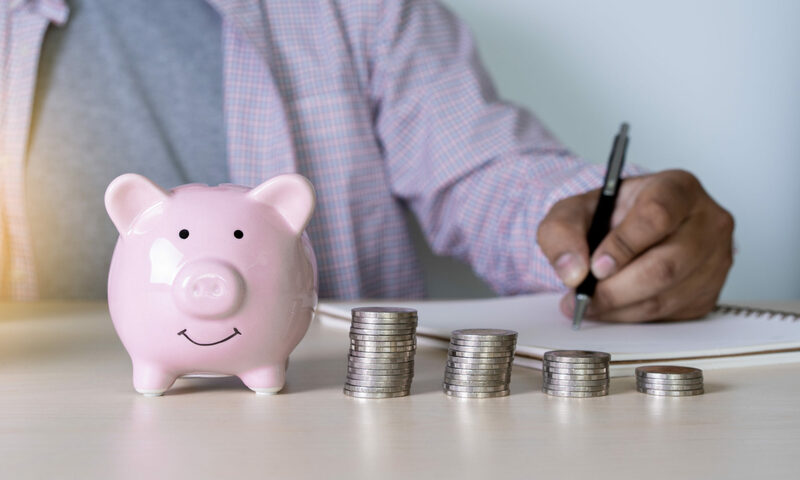 For example, if you own an S&P 500 index fundA type of exchanged-traded fund (ETF) or mutual fund that invests in such a way that the returns on the fund are identical or very close to a market index. For example, an S&P 500 index fund wou... More, riskThe possibility that something bad will happen. would focus on how often and by how much the value of the fund goes down. VolatilityThe possibility that something will deviate from its expected or average value, including both good and bad results. focuses on how often and by how much the value of the fund goes both up and down. Most measures of riskThe possibility that something bad will happen. have some element of probabilityA percentage or the equivalent fraction that falls between 0% and 100% (i.e., between 0 and 1) that represents the ratio of the number of times that the outcome meets some criteria to the number of po... More associated with them. A probabilityA percentage or the equivalent fraction that falls between 0% and 100% (i.e., between 0 and 1) that represents the ratio of the number of times that the outcome meets some criteria to the number of po... More is a percentage or the equivalent fraction that falls between 0% and 100% (i.e., between 0 and 1). It represents the ratio of the number of times that the outcome meets some criteria to the number of possible outcomes. Let’s start with some simple, non-financial probabilities. A coin has two possible outcomes – heads and tails. When flipping a fair coin, it is equally likely that the result will be heads or tails. The probabilityA percentage or the equivalent fraction that falls between 0% and 100% (i.e., between 0 and 1) that represents the ratio of the number of times that the outcome meets some criteria to the number of po... More of getting heads on one flip is 50%, derived as one result being heads divided by two possible choices. There is one result (the first row) in which there are two heads. The probabilityA percentage or the equivalent fraction that falls between 0% and 100% (i.e., between 0 and 1) that represents the ratio of the number of times that the outcome meets some criteria to the number of po... More of getting two heads is therefore one result meeting our criterion divided by four possible results or 25%. The probabilityA percentage or the equivalent fraction that falls between 0% and 100% (i.e., between 0 and 1) that represents the ratio of the number of times that the outcome meets some criteria to the number of po... More of getting one heads and one tails on two flips is 50%. There are two rows in the table that have one heads and one tails. Dividing the count of two results meeting our criterion by the four possible results gives us a 50% probabilityA percentage or the equivalent fraction that falls between 0% and 100% (i.e., between 0 and 1) that represents the ratio of the number of times that the outcome meets some criteria to the number of po... More. We can now extend this concept to a financial measure. I downloaded the month-ending values of the S&P 500 from Yahoo Finance from 1951 through 2018. I calculated the annual change in the index in each year to derive 68 years of returns. Although the past is seldom a perfect predictor of the future, we can use it as a model of what might happen. So, when I say there is a certain probabilityA percentage or the equivalent fraction that falls between 0% and 100% (i.e., between 0 and 1) that represents the ratio of the number of times that the outcome meets some criteria to the number of po... More that the S&P 500 return will meet some criteria, I am using short hand for saying that it happened that percentage of the time in the period from 1951 through 2018. The bar chart below shows the number of years in which the S&P 500 return fell into certain ranges. There are 28 years in which the return was less than the average of the returns over that time period (8.4%). We can therefore calculate that there is a 43% probabilityA percentage or the equivalent fraction that falls between 0% and 100% (i.e., between 0 and 1) that represents the ratio of the number of times that the outcome meets some criteria to the number of po... More that the S&P 500 will return less than 8.4% in any one year by taking the 28 years in which it fell below its average and dividing by the total number of years for which we have data (68). There are 18 years in which the return was negative over that time period (2 of which fell in the -1.6% to +8.4% range). We can therefore calculate that there is a 29% probabilityA percentage or the equivalent fraction that falls between 0% and 100% (i.e., between 0 and 1) that represents the ratio of the number of times that the outcome meets some criteria to the number of po... More that an investor in the S&P 500 will lose money in any one year by taking 18 years in which the return was negative and dividing by the total number of years for which we have data (68). Sometimes people are not only interested in how often a bad result happens but also how bad it will be when it is worse than that. For example, you might want to know the average amount you will lose in a year in which there is a loss. 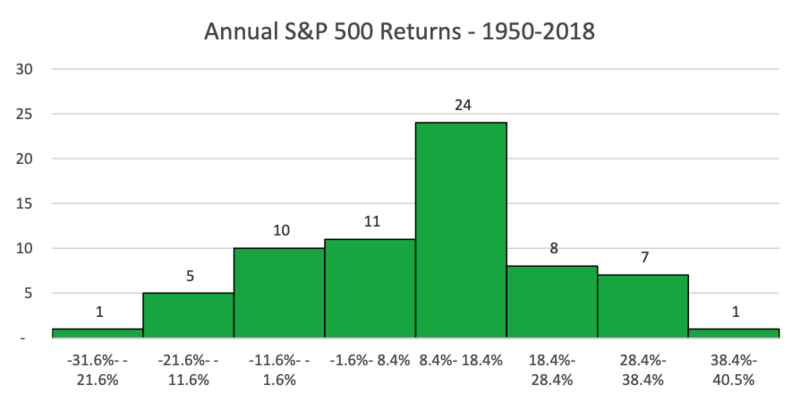 Using the information above about the S&P 500, we would select only the 18 years in which return on the S&P 500 was negative and take the average of those returns. In this case, the average is -11%. With this metric, you now know that there is a 29% probabilityA percentage or the equivalent fraction that falls between 0% and 100% (i.e., between 0 and 1) that represents the ratio of the number of times that the outcome meets some criteria to the number of po... More that an investment in the S&P 500 will lose money in a year and that, in those years, you will lose 11% on average. This metric is a richer metric than probabilityA percentage or the equivalent fraction that falls between 0% and 100% (i.e., between 0 and 1) that represents the ratio of the number of times that the outcome meets some criteria to the number of po... More, but is also much harder to grasp so I won’t spend a lot of time on it. Another metric commonly associated with riskThe possibility that something bad will happen. is the standard deviationA standard deviation is a (slightly messy) statistical calculation that results in a positive number that measures how much the possible results differ from the average result. For those of you who ... More. While standard deviationA standard deviation is a (slightly messy) statistical calculation that results in a positive number that measures how much the possible results differ from the average result. For those of you who ... More is a very common metric, it doesn’t actually measures riskThe possibility that something bad will happen.. It measure volatilityThe possibility that something will deviate from its expected or average value, including both good and bad results. because the calculation of standard deviationA standard deviation is a (slightly messy) statistical calculation that results in a positive number that measures how much the possible results differ from the average result. For those of you who ... More includes both good and bad results, not just bad ones. For processes that have symmetric results (more on that in a minute), such as the S&P 500 returns graphed above, you can learn a bit about the distribution just based on the standard deviationA standard deviation is a (slightly messy) statistical calculation that results in a positive number that measures how much the possible results differ from the average result. For those of you who ... More. Roughly 96% of the possible results will fall in the range defined by the average minus two standard deviations to the average plus to standard deviations. As such, something with a higher standard deviationA standard deviation is a (slightly messy) statistical calculation that results in a positive number that measures how much the possible results differ from the average result. For those of you who ... More has a higher probabilityA percentage or the equivalent fraction that falls between 0% and 100% (i.e., between 0 and 1) that represents the ratio of the number of times that the outcome meets some criteria to the number of po... More of being below a fixed threshold than one with a lower standard deviationA standard deviation is a (slightly messy) statistical calculation that results in a positive number that measures how much the possible results differ from the average result. For those of you who ... More. For example, we might be looking at two investments both with average returns of 5%. One might have a standard deviationA standard deviation is a (slightly messy) statistical calculation that results in a positive number that measures how much the possible results differ from the average result. For those of you who ... More of 2.5% and the other a standard deviationA standard deviation is a (slightly messy) statistical calculation that results in a positive number that measures how much the possible results differ from the average result. For those of you who ... More of 5%. The second one has about a 16% probabilityA percentage or the equivalent fraction that falls between 0% and 100% (i.e., between 0 and 1) that represents the ratio of the number of times that the outcome meets some criteria to the number of po... More of having a negative return as compared to only a 2% probabilityA percentage or the equivalent fraction that falls between 0% and 100% (i.e., between 0 and 1) that represents the ratio of the number of times that the outcome meets some criteria to the number of po... More for the first one. There are many ways to illustrate riskThe possibility that something bad will happen. graphically. The bar chart of the S&P 500 shown above is one example. The data can also be presented in a line graph. A line graph is essentially the same as a bar chart except there is a point on the line rather than a bar corresponding to ranges of possible results. 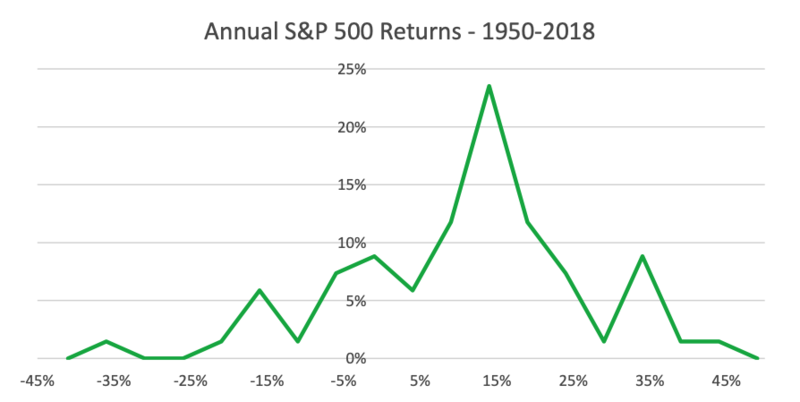 The line graph below shows the annual returns for the S&P 500. The ranges I used in this chart are narrower than the ones I used in creating the bar chart, so the graph is bumpier. I mentioned earlier that some processes have symmetric results. If both sides of the line chart are identical, then it is symmetric. The S&P 500 graph above isn’t quite symmetric, but it is close. Relative to the mean of 8.4%, the possible results extend further to the left (in the downward direction) than to the right (in the upward direction). That is, the worst observed result was -40% or 48 percentage points worse than the average. The best observed result was +45% or 37 percentage points better than the average. Processes that are not symmetrical are called skewed. In extreme cases, one side of the graph is very tall and doesn’t go very far. The other side of the graph has a long skinny “tail.” Examples of processes that are skewed are (1) winning the lottery and (2) damage to your house. The green line in the graph above represents a symmetric distribution with an average of 0. You can see that it is the same on both the right and left sides of the y-axis. The blue line represents the change in your financial position if you play the lottery. There is a very high probabilityA percentage or the equivalent fraction that falls between 0% and 100% (i.e., between 0 and 1) that represents the ratio of the number of times that the outcome meets some criteria to the number of po... More you won’t win anything ($0 change to your financial position after you’ve already bought your ticket). The probabilityA percentage or the equivalent fraction that falls between 0% and 100% (i.e., between 0 and 1) that represents the ratio of the number of times that the outcome meets some criteria to the number of po... More you will win a small amount is small and the probabilityA percentage or the equivalent fraction that falls between 0% and 100% (i.e., between 0 and 1) that represents the ratio of the number of times that the outcome meets some criteria to the number of po... More you will win a lot is tiny. This distribution is skewed and the long tail goes to the right. The red line illustrates the change in your financial position due to possible damage to your home before considering insurance. There is a high chance you won’t have any damage ($0 change to your financial position). The probabilityA percentage or the equivalent fraction that falls between 0% and 100% (i.e., between 0 and 1) that represents the ratio of the number of times that the outcome meets some criteria to the number of po... More you will have a small loss is small and the probabilityA percentage or the equivalent fraction that falls between 0% and 100% (i.e., between 0 and 1) that represents the ratio of the number of times that the outcome meets some criteria to the number of po... More you will have a large loss (but less than the value of your $100,000 home) is tiny. 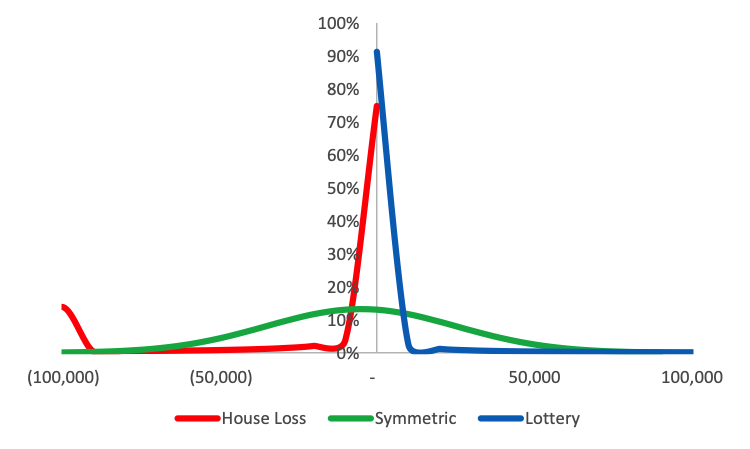 Interestingly, there is a larger probabilityA percentage or the equivalent fraction that falls between 0% and 100% (i.e., between 0 and 1) that represents the ratio of the number of times that the outcome meets some criteria to the number of po... More of having a total loss than of have a large loss because, at some point, the damage because so expensive to repair that it is cheaper to replace the whole house. This distribution is skewed and the long tail goes to the left. For processes that have skewed results, the rules of thumb about standard deviations don’t apply, so looking at probabilities and average losses below a threshold are more informative. Because Apple went public in early 1981, I used returns from 1981 through 2018. 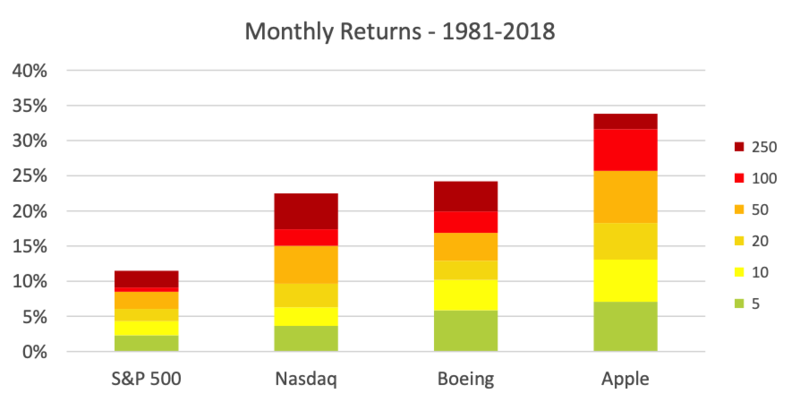 I’ll use these monthly returns to demonstrate several ways of illustrating and comparing the riskThe possibility that something bad will happen. of different investment options. Some people prefer to look at the numbers. The chart below shows five statistics that measure the volatilityThe possibility that something will deviate from its expected or average value, including both good and bad results. or riskThe possibility that something bad will happen. of the five equity investments. As indicated above, standard deviationA standard deviation is a (slightly messy) statistical calculation that results in a positive number that measures how much the possible results differ from the average result. For those of you who ... More is a measure of volatilityThe possibility that something will deviate from its expected or average value, including both good and bad results.. The least volatile investment is the S&P 500 index. The S&P 500 index is the weighted averageA calculation using all of the observations of a variable with each observation being assigned a weight. The weight is the relative importance of that observation. Each observation is multiplied b... More of the prices of 500 large companies. Larger companies tend to have less volatilityThe possibility that something will deviate from its expected or average value, including both good and bad results.. Also, the large number of companies in the index adds diversificationThe reduction in volatility created by combining two or more processes (such as the prices of financial instruments) that do not have 100% correlation. which also reduces volatilityThe possibility that something will deviate from its expected or average value, including both good and bad results.. I’ll have a post about diversificationThe reduction in volatility created by combining two or more processes (such as the prices of financial instruments) that do not have 100% correlation. in a few weeks. The Nasdaq composite is the weighted averageA calculation using all of the observations of a variable with each observation being assigned a weight. The weight is the relative importance of that observation. Each observation is multiplied b... More of the prices of all of the companies that trade on the Nasdaq exchange. Although the companies that trade on the Nasdaq tend to be smaller and more volatile, there are over 3,300 of them so the index is fairly diversified. Nonetheless, the Nasdaq has a higher standard deviationA standard deviation is a (slightly messy) statistical calculation that results in a positive number that measures how much the possible results differ from the average result. For those of you who ... More than the S&P 500. Boeing is a fairly large company, but looking at its stock alone offers no diversificationThe reduction in volatility created by combining two or more processes (such as the prices of financial instruments) that do not have 100% correlation. (because you need two things, in this case companies, to create diversificationThe reduction in volatility created by combining two or more processes (such as the prices of financial instruments) that do not have 100% correlation.). Therefore, its stock price has a higher standard deviationA standard deviation is a (slightly messy) statistical calculation that results in a positive number that measures how much the possible results differ from the average result. For those of you who ... More than either of the indices. Apple, though a large company, has been a fast growing company so has had even more volatilityThe possibility that something will deviate from its expected or average value, including both good and bad results. in its stock price than Boeing. It has the highest standard deviationA standard deviation is a (slightly messy) statistical calculation that results in a positive number that measures how much the possible results differ from the average result. For those of you who ... More of the four investments in the table. The 25thpercentileThe value below which a stated percent of observations fall. For example, 25% of the observations fall below the value corresponding to the 25thpercentile. 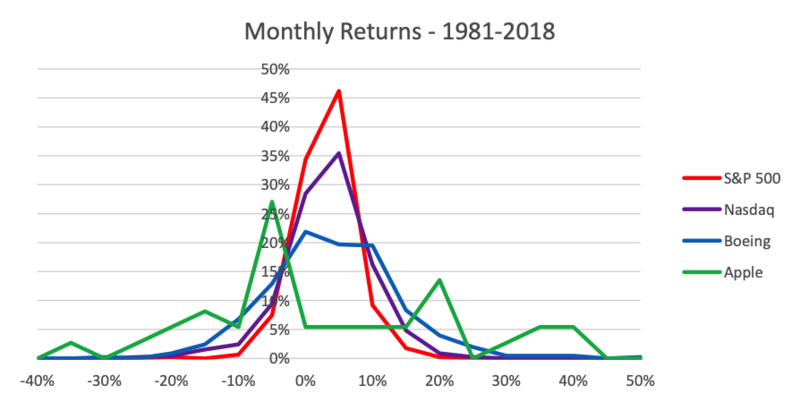 (below which 25% of the monthly returns fall) is a measure of riskThe possibility that something bad will happen.. We can see that this riskThe possibility that something bad will happen. measure shows that these investments fall in the same order looking at this riskThe possibility that something bad will happen. metric as when measuring volatilityThe possibility that something will deviate from its expected or average value, including both good and bad results. using standard deviationA standard deviation is a (slightly messy) statistical calculation that results in a positive number that measures how much the possible results differ from the average result. For those of you who ... More. I’ve also shown the interquartile rangeThe difference between the 75thand 25thpercentiles. The middle 50% (half) of the observations fall in the interquartile range. It is also a measure of volatility that tracks fairly closely with th... More. It is calculated as the difference between the 75thand 25thpercentiles. That is, the 75thpercentileThe value below which a stated percent of observations fall. For example, 25% of the observations fall below the value corresponding to the 25thpercentile. is the value above which 25% of the monthly returns fall. Therefore, the middle 50% (half) of the observations fall in the interquartile rangeThe difference between the 75thand 25thpercentiles. The middle 50% (half) of the observations fall in the interquartile range. It is also a measure of volatility that tracks fairly closely with th... More. It is also a measure of volatilityThe possibility that something will deviate from its expected or average value, including both good and bad results. that tracks fairly closely with the standard deviationA standard deviation is a (slightly messy) statistical calculation that results in a positive number that measures how much the possible results differ from the average result. For those of you who ... More for processes that aren’t highly skewed. The last two metrics are the probabilityA percentage or the equivalent fraction that falls between 0% and 100% (i.e., between 0 and 1) that represents the ratio of the number of times that the outcome meets some criteria to the number of po... More that the return is less than 0% and the average return when it falls below zero. Interestingly, Boeing stock has a lower probabilityA percentage or the equivalent fraction that falls between 0% and 100% (i.e., between 0 and 1) that represents the ratio of the number of times that the outcome meets some criteria to the number of po... More of have a negative return in a month than the Nasdaq! 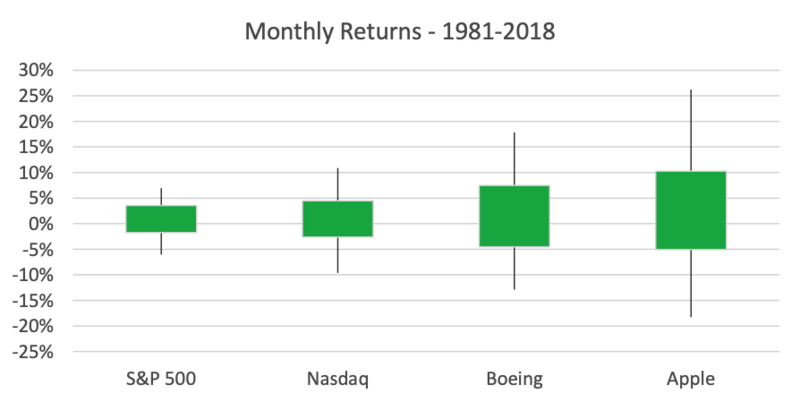 It turns out that Boeing’s average monthly return is enough higher than the Nasdaq’s (6.4% versus 4.6%) to offset the higher volatilityThe possibility that something will deviate from its expected or average value, including both good and bad results. (as measured by both the standard deviationA standard deviation is a (slightly messy) statistical calculation that results in a positive number that measures how much the possible results differ from the average result. For those of you who ... More and interquartile rangeThe difference between the 75thand 25thpercentiles. The middle 50% (half) of the observations fall in the interquartile range. It is also a measure of volatility that tracks fairly closely with th... More). The figure below illustrates the monthly returns for the four investment options using a line graph. The S&P 500 (red line) has the least riskThe possibility that something bad will happen.. The peak in the middle of the chart is the highest and the plot is narrower than that of any of the other options. The Nasdaq composite (purple line) has the next lowest riskThe possibility that something bad will happen.. Its peak is only slightly lower than that of the S&P 500. The tails are a little wider than the S&P 500. Boeing (blue line) is next in order. The general shape of the Boeing plot is similar to those of the S&P 500 and Nasdaq composite, but is lower in the middle and wider in the tails. Apple (green line) is the most risky. It barely has a peak in its plot and has some points that are far from the middle of the graph. A box & whisker plot has less information than a line graph, but is less busy than a line graph so many people find it easier to interpret quickly. The box & whisker plot of the monthly stock returns is shown below. The green rectangles are the “boxes” and the lines extending above and below the boxes are the “whiskers.” In this box & whisker plot, 5% of the monthly returns for each option fall below the bottom of each whisker and 5% fall above the top of the upper whisker. Alternately, 95% of the returns were below the top of the upper whisker. As such, 90% of the monthly returns fell in the range defined by the whiskers. Similarly, 25% of the monthly returns for each investment fell below the bottom of each box. 75% of the monthly returns are less than the top of each box. Alternately, 25% of the returns were above the top of the box. As such, 50% of the monthly returns fell in the range defined by the boxes. The boxes correspond to the interquartile rangeThe difference between the 75thand 25thpercentiles. The middle 50% (half) of the observations fall in the interquartile range. It is also a measure of volatility that tracks fairly closely with th... More I mentioned above. The riskThe possibility that something bad will happen. of each option can be seen by comparing the height of the boxes and whiskers. We see the same characteristics as were described for the line chart. A spectral plot focuses solely on riskThe possibility that something bad will happen., not volatilityThe possibility that something will deviate from its expected or average value, including both good and bad results.. A spectral plot of the monthly returns on the four investments is shown below. The legend shows whole numbers. These numbers represent how frequently or seldom something will happen in months. In this case, the yellow-green boxes (corresponding to 5 in the legend) show the loss you would have every five months. Every five months corresponds to 20% of the time, so I took the 20th percentileThe value below which a stated percent of observations fall. For example, 25% of the observations fall below the value corresponding to the 25thpercentile. values and plotted the negative of them (since the chart shows the percentage you will lose). The bright red boxes (corresponding to 100 in the legend) show the percentage loss you would have every 100 months or at the 1st percentileThe value below which a stated percent of observations fall. For example, 25% of the observations fall below the value corresponding to the 25thpercentile.. It is clear that the S&P 500 has the least riskThe possibility that something bad will happen. and Apple has the most riskThe possibility that something bad will happen. of the four investments. Boeing and the Nasdaq have very similar riskThe possibility that something bad will happen., with Boeing very slightly riskier. To be clear, I don’t anticipate that many of you will be able to create charts that look like these. I hope that by providing these examples, you’ll be able to understand any articles or graphics you read that address riskThe possibility that something bad will happen.. It is also important, in mmking financial decisions, to understand of the nature of the volatilityThe possibility that something will deviate from its expected or average value, including both good and bad results. involved. Is it skewed like that of damage to your house? Or, is it somewhat symmetric and short-tailed like the S&P 500? Or somewhere in between? If you have a good understanding of the nature of the riskThe possibility that something bad will happen. involved, you’ll make a better decision. I’ll talk more about riskThe possibility that something bad will happen. and making financial decisions in my next post.